…with the Minolta 70-210mm F4 beercan on my A700. Male models – that is when you hear all the male camera-owners take less pictures. Pfft, the models pause at the front of the catwalk and turn around for all to see. The lighting is consistent. People who say it is difficult should get out more and shoot more genres. Obviously, the guys are there for the female models, and for a chance for the typically bespectacled engineer/IT support person to use his expensive telephoto lens (which practically can’t be used at home.) You see all these uncles as well, overjoyed that their big lenses finally get some use! I went with some friends once to shoot. We’d all huddle up in the photographer booth, which was elevated. We’d shoot a half-hour session, and not leave the booth during the intermission, in fear that we’d lose our space. Yeah I get excited, I like pretty faces. I like how she looks so much like Kristin Kreuk! So what can I say? 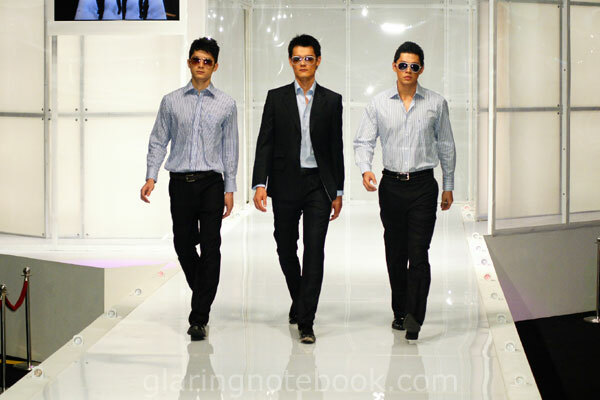 Obviously, the straight guys are not into shooting catwalks for the fashion. I know they don’t care and neither did I for the clothes. However, I will comment on this outfit – I don’t like it when girls dress up in shape-less gunny sacks. 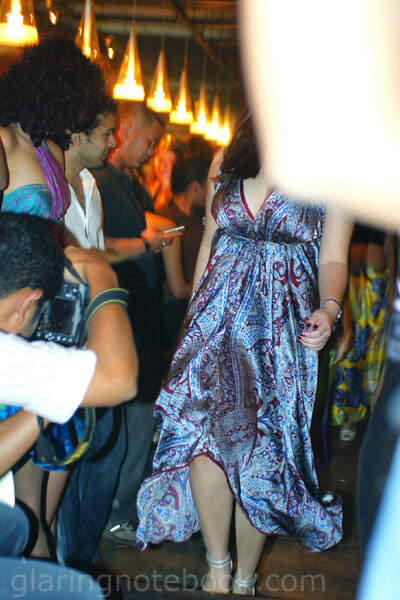 And now, fast-forward to 7th August 2008, at Twenty-One, for a showcase of Kariza Designs! At least these models were different because they were all friends of the founder/founder’s brother’s girlfriend. Twenty-One was tight, and no telephoto would’ve been comfortable. Not that I even brought a telephoto that night – I only had the Carl Zeiss Jena Flektogon 35mm F2.4 on the A700. Manual focus was a challenge, and there were many spoiled shots! Sorry Shannon there’s an elbow! Yes, it was real packed! I’m not sure what was up with my lens that night, but it seemed to have some focus curvature. I found the concept to be amazingly cool – a colorful batik wrap that can be transformed into many different outfits! Instructional DVD included with every unique design. Group shot! Argh, again the focus curvature. This entry was posted in Pictures, Rants on November 12, 2009 by 2konbla. Worse if there is a bikini fashion show ! Or even got a grin when a male model come out with a swimming trunk. LOL. Sammy: Miss the si man girl! Templar: LOL! There is always a silence when the male model comes out.